Whats included with the Membership? Also we give refunds no questions asked, so if you want to try out membership for a month and don’t like it, within 30 days of purchase we will give you a refund. If I get a monthly membership can I cancel any time? YES! Just send us an email at info@archexamacademy.com and we will cancel your membership no questions asked. Who runs the Arch Exam Academy? This website is basically a side project that was started in 2011, out of frustration with study sites and forums that existed online. Arch Exam Academy was started by a guy studying for the ARE, testing and working full time. I have currently completed AXP and the ARE. Find me on LinkedIn. Arch Exam Academy has grown over the years and we are providing a service that helps young architects practice for the ARE. I have created a top notch study tool, with practice exams and I want to ensure it keeps going – unlike many free ARE websites. I want to keep this site fast and clean. I just wanted to make ARE study materials more accessible and all in one place that is easy to access. I don’t like to waste time searching through forums. It can be easy to be overwhelmed with all 7 ARE sections, start with a well organized study tool. 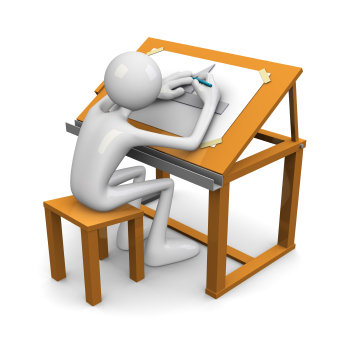 The Arch Exam Academy is designed for people who want to study for the Architect Registration Exams (ARE). Don’t be a nobody toiling away, Get Licensed this Year! AEA is the perfect resource and guidance. We offer valuable content you can’t find anywhere else. For young graduate architects who don’t have a lot of time, or for project managers needing to finally get licensed. We have organized studying for you. We give you the break down of what you need to know to pass your ARE’s. We show you what is correct, don’t waste time searching a forum. If working full time, then AEA is a tremendous resource for professionals on the go! You can take practice exams, and review materials on AEA any time of day. If you are just starting out, AEA is a great way to get a handle on all the information. Don’t know where to start studying, AEA makes it easy to start. We could charge more, but we really want to keep the cost low for we were once underpaid architectural interns. Why do we charge?–to keep this fast server going, AEA runs on a dedicated server that allows user to download files fast, find the information you need fast, and start studying immediately. Once you become a member you will have access to all member resources, downloads, and practice exams. We know they don’t really teach for the exams in school, its all design, and it can be hard to get excited about this stuff . But let’s face it, taking the ARE is essential for registration and career longevity. And now that you are out of school and in the real world, its good to know a thing or two about codes, ethics, practice, safety, health and welfare, and contracts! We encourage you to join the Arch Exam Academy and Pass your AREs! 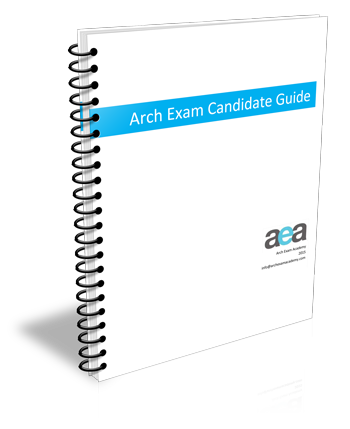 Sign up for our newsletter and receive our Arch Exam Candidate guide a 34 page PDF download, a FREE E-book! It will answer all your basic questions you have about ARE and how to get started studying today.